OPPO has released a better-equipped version of the R17 that it launched only a couple of weeks ago. The new R17 Pro picks up some impressive specs for what is effectively a mid-range device. Chief among these is the Super VOOC charging that is a major feature of the super premium OPPO Find X Lamborghini Edition capable of delivering a 40 percent charge in just 10 minutes. The R17 Pro is powered by one of Qualcomm’s new Snapdragon 710 SoCs, which is 10nm LPE version of the 14nm Snapdragon 670. The upgraded fabrication process yields 27 percent better performance as well as 40 percent greater efficiency. An octa-core chip, it is clocked at 2.2GHz and is mated to both an Adreno 616 GPU and 8 GB of RAM. The R17 Pro also picks up 128 GB of standard onboard storage. Other premium touches include an under display fingerprint sensor, an unusual color gradient glass back dubbed “Fog Gradient” and a 3D TOF depth-sensing camera among the triple camera array on the rear. The other two are a 12MP 1/2.55” sensor with variable f/1.5-f/2.4 aperture and a 20MP module. The front facing camera tucked away in the waterdrop notch is a 25MP camera with a f/2.0 aperture. 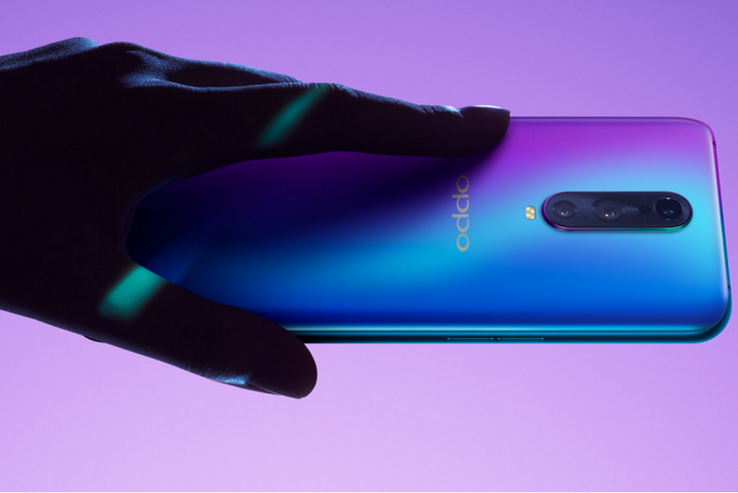 For people looking for bang-for-your-buck value, the OPPO R17 Pro is shaping up as an exciting entrant into the crowded smartphone market, where it is ordinarily hard to stand out from the crowd. It is listed for the equivalent of US$625 with sales starting in the middle of October in China. We expect a global rollout at some stage, but details aren’t available at the time of writing.